St Lary Soulan is as much about the warmer climate activities and so is the perfect setting for a balmy Spring or Summer get-away. 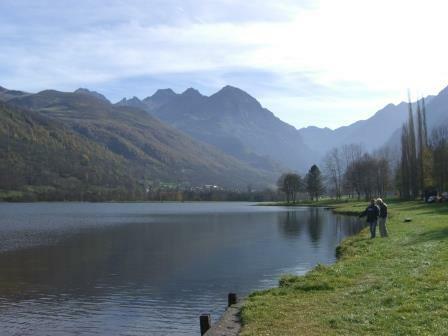 With so much to do in these beautiful surroundings including walking, cycling, climbing and hiking to name but a few. Why not try the high rope centre on the edge of the village. This can be enjoyed by all ages. Horse riding and paragliding are enjoyed locally for the more adventurous holiday maker, and fishing is also a popular past time. By following the GR 65 you will be able to discover this unique natural landscape without getting lost. The tracks will also take you to the few mountain refuges that are at your disposal. The Tour de France frequently runs through Saint-Lary-Soulan, most recently in 2014 and is close to a number of mountain climbs used on the tour including the Pla d'Adet, Col d'Aspin, Col de Peyresourde and Col du Tourmalet. Stage 17 of the 2014 Tour de France finishes on the Pla d'Adet, above the commune. 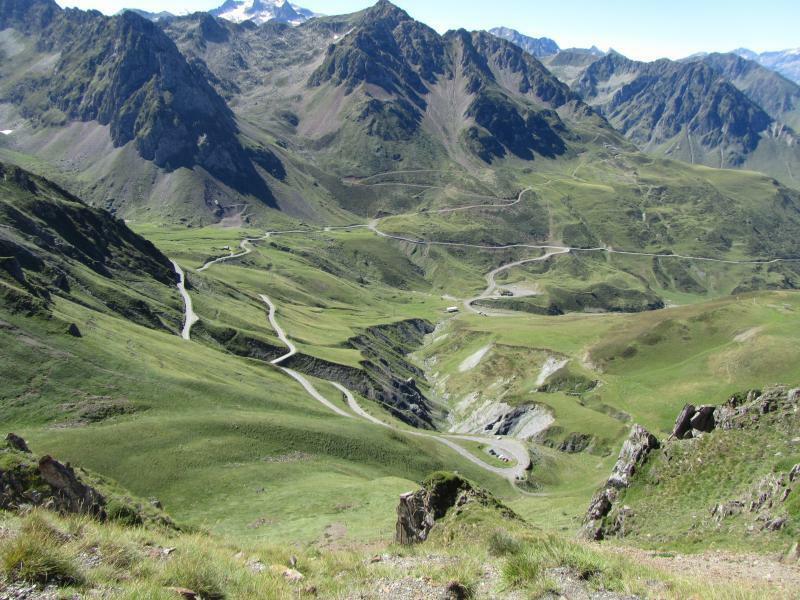 Grueling and open, Pla d'Adet may become the highlight of your Pyrénées cycling adventure despite its shortness. Before venturing up, stand anywhere in the ski town of Saint-Lary, take a deep breath and raise your eyes to follow the road all the way up until your neck cramps. Just visualizing this climb might be enough to make you want to trade in your bike for a rental car, but don't be tempted. Why not enjoy the dazzling mountain, valley and town. Views from the top of Pla d'Adet after your unforgettable climb? You'll start with a brief, easy 6.5% section before you reach the killer ascent, averaging 13.5%. That's the worst, but you'll still have grades between 8 and 11% to look forward to—it eases up at the end, but it may still be the longest 7 miles you will ever ride! 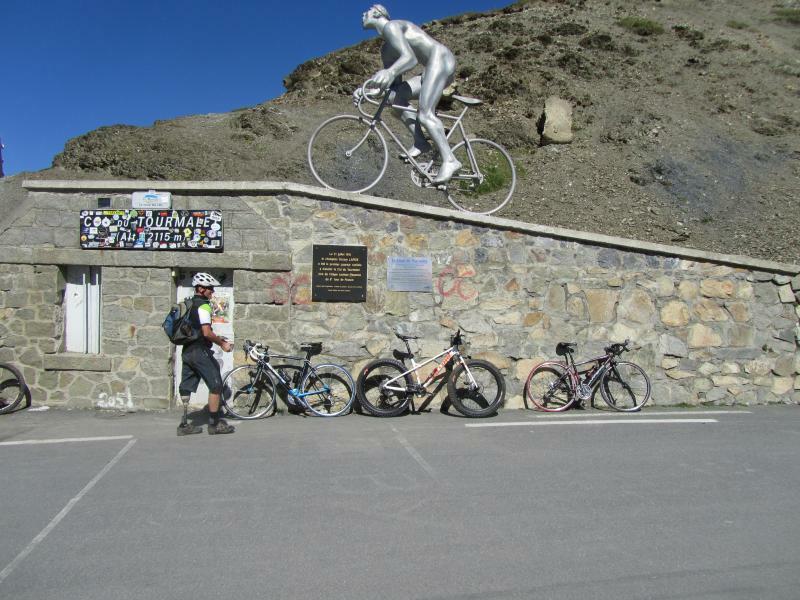 Saint Lary and the surrounding area has become somewhat of a cycling Mecca, attracting hundreds of cyclists a year all willing to tackle the brutal climbs that the area provides. Saint Lary was made famous by the appearance of the Tour de France route frequently passing through the town, even as recently as 2005 (the 2012 TdF passes within a 10 minute ride of Chateau LDT) making climbs such as the Pla d’Adet, Col d’Aspin, Col de Peyresourde and Col du Tourmalet in the surrounding valleys, an extremely desirable “tick” on any cyclist’s to do list. 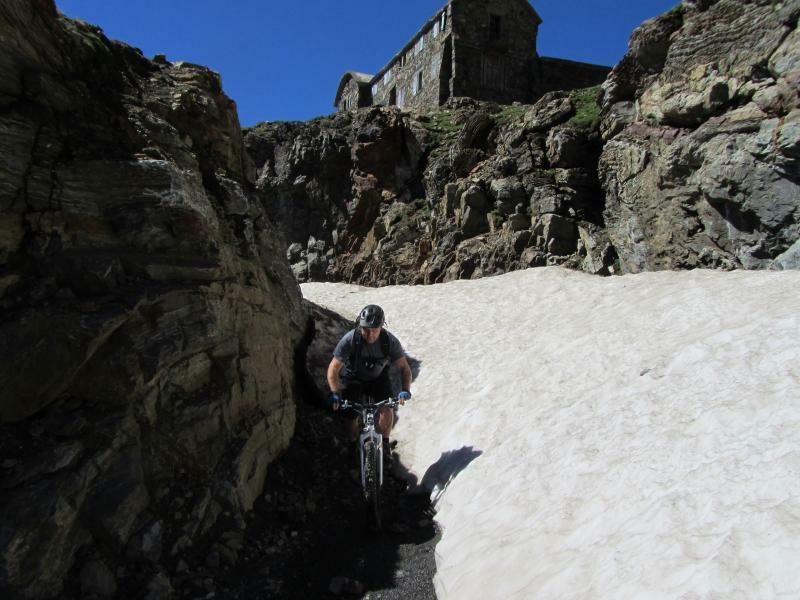 Saint Lary is also home to a secret climb that is barely known to none locals. This little treasure is the road to Lac de Cap figures and the winding roads seeming never ending. This climb literally has it all – hairpins, dazzling views, lung busting altitude and barely any cars. Though a tough climb, riders are richly rewarded at the top. At over 2,100m Lac de Cap de Long is by far the most beautiful lake accessible by bike in the Pyrenees. Held in place by a dam and surrounded by looming boulders and jagged rocks, it truly is something to behold. Once you’ve finished looking at the lake and have decided not to jump in because you’re so hot you can feast on as many crepes as you can eat and reward yourself with a beer avec altitude at one of the rustic (wood cabins that have become part of the scenery) cafes! Another popular climb is the Pla d’Adet which starts in Saint Lary and takes you to the ski station where, if you’re not keen on descending, you can paraglide your way back. The Col de Peyresourde is now more attractive to cyclists as, due to the Tour de France and Etape Act II passing through, the roads have been restored so there are far less pot holes for cyclists to plunge into. The Peyresourde leads to a scenic little town called Bagneres du Luchon which is a perfect place for riders to stop for lunch and/or go shopping. You can hire bikes to enjoy the splendid countryside at your own leisure, Saint Lary has also developed a Mountain Bike Park, for the delight of bikers. 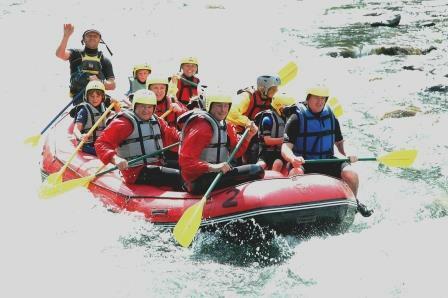 Thanks to rivers running down from the mountain, the town also offers visitors some high speed water activities, such as canyoning, rafting, hydro speed, air-boat, and white water rafting. In the centre of the village, the outdoor pool is perfect for diving, or just lazing the day away. Alternatively for those pamper days, the indoor thermal spa pool with its steam room, sauna, Jacuzzi and waterfalls is a must. The French are known for their cuisine, and you won’t be disappointed to dine inside one of the many restaurants and cafes, or to eat alfresco taking in the atmosphere of a typically quaint French village. Or takeaway your dinner from one of the kerb-side delicacies. Whilst for the shopaholics amongst you, enjoy the choice of French clothes, souvenirs, sports equipment and home furnishings typical of this region. The village museum also gives an insight on the mountain wildlife and the village association with the bear, rescued animals can often be seen here. Other local facilities also include tennis court hire, and crazy golf. The recently developed coast to coast long distance footpaths (Atlantic to Mediterranean): the Spanish GR11 and the French GR10, offer a superb opportunity to pass through green countryside, climbing snow white peaks and valleys of untouched natural beauty. The beautifully stunning lakes are approximately a 40 minute drive away and offer spectacular views, crystal clear swimming water and plenty of walking and sunbathing opportunities. The Pyrenees is the ideal destination for your golfing holidays - the area was voted as one of the best emerging golf destinations. The Spanish border is only a 30 minute drive away, so you can explore more than one country on one day! Also worth a visit is the magnificent town of Lourdes, a world renowned centre for religious tourism. Lourdes is an impressive site with its spectacular churches and rich heritage. You can get cheap flights to Toulouse or Pau from most UK airports including Bristol, Gatwick, Heathrow, Stansted, Birmingham, Manchester, Glasgow or Edinburgh etc. Transfer Times: 1.30 hrs drive from Toulouse, 1.20hr from Pau , where you can find cheap car rental from Hertz, eurocar etc.